Everyone has spare NVMe SSDs, right? Or perhaps users want to buy four of them? 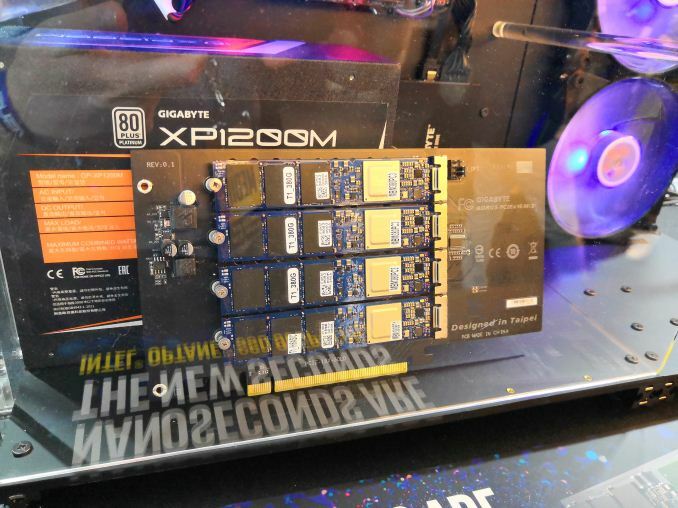 Intel was on a big push recently with its newest 380 GB Intel Optane 905P SSD, with most of the main motherboard and system vendors showing them in action. 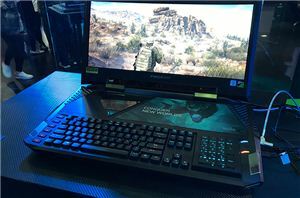 To date we have seen both ASUS and ASRock show off their 4-in-1 M.2 to PCIe add-in cards, both of which should now be easily available, leaving GIGABYTE and MSI to come up with their own. 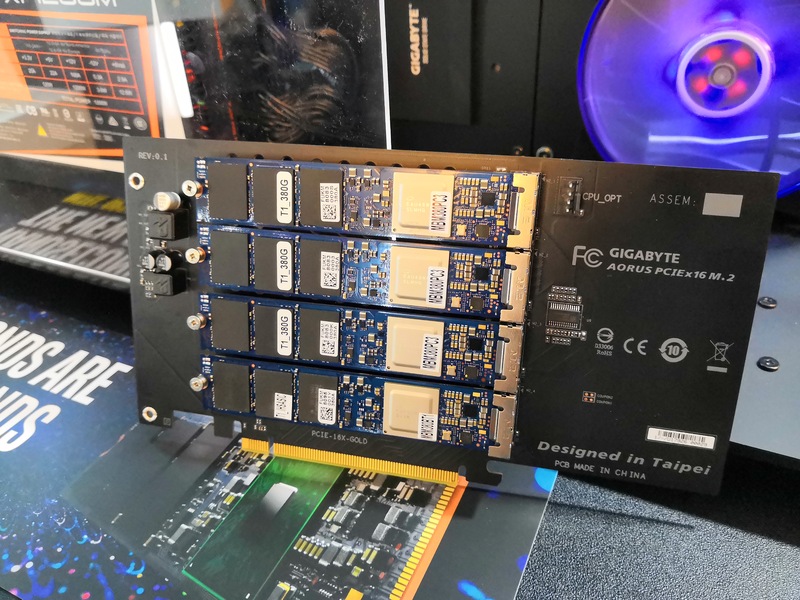 Well in order to show off the Optane drives, GIGABYTE put together a quick something that they're calling the Aorus PCIe x16 M.2. Currently standing at revision 0.1, GIGABYTE was being coy about whether it was going to come to market. It was made specifically to run the Optane demonstrations we were told, but more time would need to be spent if it were to be a retail product. This isn’t really that big of a news piece, especially when other PCIe add-in cards exist. What we were told however is that this add-in card works with X399 and AMD’s Threadripper motherboards. Before the show, I was pinged by Wendell over at Level1Techs about this cards, and I took it upon myself to investigate if/when these companies would supported all HEDT platforms with the additional bifurcation and clock gens needed. 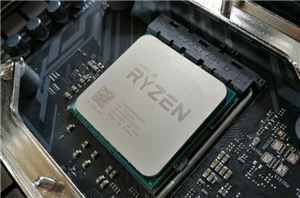 The same issues occur with AMD and Intel, making it a compound issue. GIGABYTE explicitly stated that their card has no trouble working on X399 motherboards, although they did state that they had only tested one in a board at a time. I spoke to the PM, and although it was unsaid, it was clear that they only built the product to show off the Optane drives for the show. However I did make an effort to explain that if marketed as a four-way M.2 to PCIe card that has explicit AMD X399 support, it would capture a corner of the market. It will be interesting to see how it turns out. I just ordered Asus Hyper M.2 card last night for my X399. Other manufacturers making the same type of card requiring lane bifurcation is Aplicata and Dell (made by Foxconn). but I'm glad the commodity mobo makers are making these now since those are way overpriced. 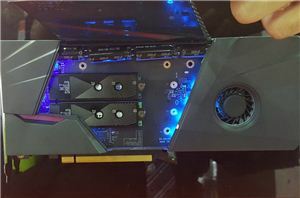 I can understand if they used a pcie switch to avoid the need for bifurcation like a couple so far, but these are just dumb cards that have some capacitors and no logic on them.